How realistic is the new 3D camera app ? … until now. 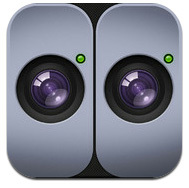 SynchroCam is a new smartphone app available on the iOS which allows two iPhones to sync their devices and take simultaneous images to be combined and rendered as 3D – or at least give the feel of that added dimension. Chances are you’ve already spotted the biggest problem with SynchroCam; that being that the app allows ‘two iPhones’ to create 3D images. The app description suggests that two devices running the Apple operating system is enough to run the software, but initial reports have shown that to make the most of it you really need two identical pieces of kit – and they should ideally be the latest instalment too. The reason for this is that even within the same company, different phones and products offer a slightly different field of view, and with each updated model getting a boosted resolution the only way to really make the 3D effect work is through identical cameras… and who amongst us has two of the latest iPhones? Presumably then, your best bet is to meet up with a like-minded Apple-enthusiast friend and wirelessly connect your devices to create your three dimensions together, but even then it seems as though the app is getting some fairly unhappy customers. 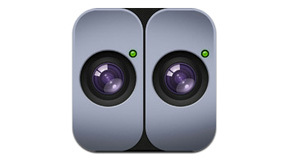 That said though, others have commented on the app as being nothing short of ‘fantastic’, and I say ‘unhappy customers’ only in the metaphorical sense – as SynchroCam is completely free… so if you do happen to have an iPhone then what’s the harm in giving it a go? The technological 3D world is booming right now and cinemas and TV manufacturers are grasping any opportunity to pop that extra little ‘D’ onto the names of their products. That said though, we should remember that the concept has had relatively limited success on other handheld technologies such as Nintendo’s 3DS – which received a torrent of complaints from angry customers. Still, we may be inclined to see this as the first step of many in the world of 3D apps, and more than anything else it’s nice to see someone giving it a go. Getting it right is more than likely just going to be a process of trial and error, and as Thomas Edison said “I have not failed 1,000 times. I have successfully discovered 1,000 ways to NOT make a light bulb.”… perhaps the same will be true for handheld 3D. Robin keeps up with technology and its uses in modern-day life for Direct Sight.